Dear Clì Gàidhlig, "21st century voice of adult Gaelic learners"
Gilleasbuig thanks you for your recent letter addressing him as Dear Clì Member. Since your letter is solely in English he assumes this is your preferred means of communication. 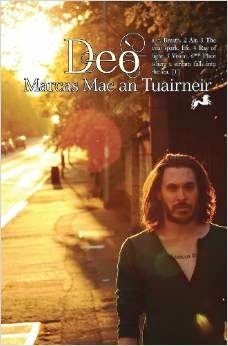 Bha Gilleasbuig air a dhòigh ghlan nuair a fhuair e copaidh dhen a’ leabhar bhàrdachd “Deò”, le Marcas Mac an Tuairneir. ’S fhada bho sguir Gilleasbuig a leughadh bàrdachd ùr Gàidhlig, oir cha robh e faighinn tlachd sam bith aiste. Ach ’s e ceòl de sheòrs’ ùr a tha seo. As is well known, Gaelic language plans can claim so much of the credit for the great strides recently made by our ancient Celtic tongue. This is especially true of those prepared by our great seats of learning. and some apparently completely made up. This includes the foreword ascribed to yourself! I would be pleased to try and detail some of these for you if that would be helpful.